Annual horoscope, New year predictions report, yearly zodiac prediction, horoscope of new year, Yearly astrology predictions report, Varsh fal, varshik kundli. Planets regularly changes the positions and because of this every person experiences different things in life. Situations are not same for all every time, changes is the law of nature and astrology is a science which reveals the mystery of future in very extent. By horoscope analysis it is possible to know, how the life will be. Is any great growth is there in future, is there any loss is there, what will be the wealth position, how the relationships will go etc. We also want to know personally that what the new year is bringing for us. 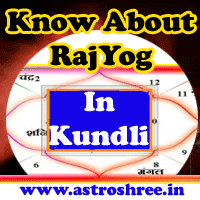 Astrologer Astroshree' himself prepares the analysis report after deeply analysing the kundli or birth chart. You can know about the health positions, wealth positions, education, marriage life, love life, financial positions, career etc. You can know about the shani sade sati, grahan yoga, best gems stones for the new year, best pooja for the new year, best yantra for new year etc. Predictions are made by seeing the real transit of planets in horoscope. This report will provide you some information related to what may happen in the coming time. You can use the information to take any broad decision in life, to buy vehicle, property etc. You can also think about your marriage. You can also think for settling abroad etc. Details of new year is designed by keeping all the aspects of life and will definitely help you to make your life smooth. 'Astrologer OM' will provide you the best details on line with the solutions of the problems. You can easily get the predictions related to your professional, social and personal life. So don't worry and be ready to know about what the new year is bringing for you. Basic predictions related to your birth details. Zodiac analysis for the new year. Details as per the planetary transit. Best gems stones for you. Best pooja, fast, daan for you. You will know about the health prediction in the new year. You will know about the relationship status in the new year. How will be your love life next year. Career growth in new year etc. This report will be send via email only and for any doubts you can also call 'ASTROLOGER'.